Translated from the Hebrew original on Globes.co.il. The Rabbinical Courts understand that the revolutionary process of castrating of the Supreme Court is working, and ever so slowly even their lip service to Israeli law is loosening. This present case illustrates how much. 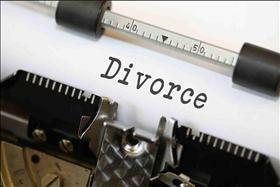 The couple lived together for 30 years, and the husband filed a divorce suit when the woman committed adultery. The couple lived in the apartment, under circumstances that create, according to civil case law "specific cooperation" between the spouses. Although the adultery only lasted for a short period of time and the partnership lasted for decades, the Rabbinical Court ruled in accordance with religious law, declaring that the betrayal indicates that there was no presumption of "cooperation" in the first place, so the rights to the apartment would remain with the husband - the original owner. To be on the safe side, they found a slight anchor in Israeli law, but it is perfectly clear what line of thought led to the ruling of the three Rabbinical Court judges. In 1994, the Supreme Court handed down the "Bavli Ruling," which dealt with spouses who had divorced, and the Rabbinical Court ruled that women are not entitled to half of the property accumulated during marriage because according to religious Jewish law, the "presumption of cooperation" does not exist. The Supreme Court overturned the decision and set two significant principles. First, the Supreme Court ruled that the "presumption of cooperation" applies to the Rabbinical Courts. Second, in the broader and more meaningful sense, the Supreme Court held that the Rabbinical Courts are subject to the basic principles of civil law in Israel (such as the principle of equality expressed in the presumption of cooperation). Justice Yitzhak Amit, as stated in the minority, said this explicitly: "The Rabbinical Court ignored the ‘Bavli Ruling’ and took us decades back." However, the majority judges, David Mintz and Alex Stein (both appointments of Minister Ayelet Shaked) clung to the transparent excuse of the Rabbinical courts, saying that it is not their place to interfere with rabbinical rulings and left the woman, after 30 years of marriage, without any rights to the apartment. Do whatever you would like -to the equality of women's rights, the prioritization of child welfare, all the principles of a 21st century Western democracy that the Supreme Court once obligated the Rabbinical Courts to adhere to. We will find a way not to interfere. En passant, they also indicated to the Rabbinical Courts that the bad years had passed. Justice Aharon Barak's judicial activism is behind us. Do whatever you would like -to the equality of women's rights, the prioritization of child welfare, all the principles of a 21st century Western democracy that the Supreme Court once obligated the Rabbinical Courts to adhere to. We will find a way not to interfere. The Rabbinical Courts did not like the Bavli ruling, but they generally tended to respect it - if not de facto, at least in that they formulated their reasoning according to the principles of Israeli civil law, even as they ruled in accordance with Jewish law. In this cloak, the Supreme Court managed not to intervene in a ruling of the Rabbinical Court even when it was clear that it violated Israeli law, and the Rabbinical Court was careful to explain its decisions in a way that would pass the Supreme Court's examination, thereby preserving the status quo. All this is now changed. What does that mean for us? Minister Shaked did exactly what she was appointed to do. She appoints the judges who will strengthen the "Jewish" at the expense of the "democratic" and introduce Jewish law into all areas of law. They support the vision of establishing a legal system based on Jewish law - an initiative that is working slowly and quietly, but is strong and assured, behind the scenes in the Justice Ministry and in non-government organizations affiliated with the Jewish Home (Habayit Hayehudi) party. For married couples, and for those who are just considering marrying, there is a very personal message here. Gone are the days when the Rabbinical Courts paid respect to the civil law. Gone are the days when the civil courts intervened when the Rabbinical Courts scoffed at the law. Think carefully before you get married (and how), and even more carefully if, God forbid, you are divorcing; it might be much more expensive than you expect.